Mario Castelnuovo-Tedesco nurtured a lifelong love of the wit of Oscar Wilde. In 1962, he wrote The Importance of Being Earnest as a chamber opera for eight voices, two pianos, and percussion, with libretti by the composer in both English as well as Italian. On Sunday, 29 July and Wednesday, 1 August, the Italian adaptation, L’Importanza di Esser Franco, will have its first performances in more than 30 years at the Luglio Musicale Trapanese in Sicily as part of a week-long Castelnuovo-Tedesco Festival. A second production is planned in Italy for Fall 2018. 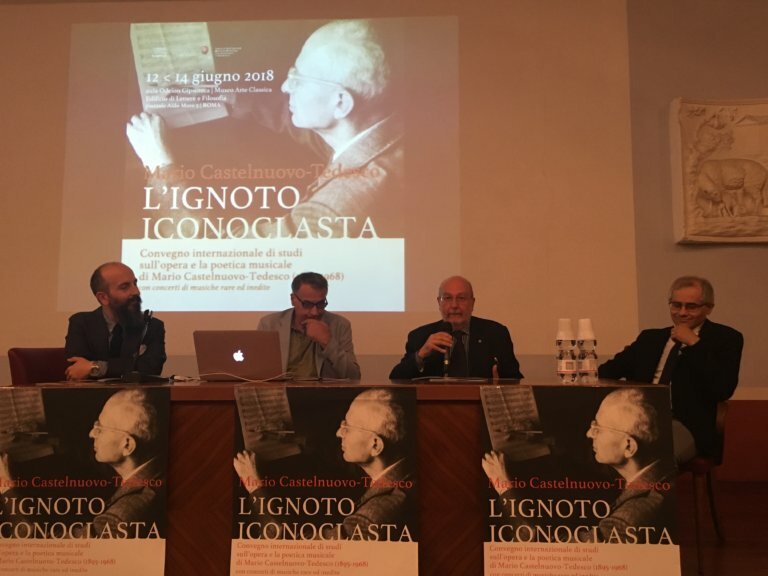 A collection of musical scores from Mario Castelnuovo-Tedesco’s home in Florence, donated by his family to the Lyceum Club Internationale di Firenze, is now cataloged. More than 700 pieces of music in both manuscript and printed forms which belonged to the composer are included in the collection. On January 31, 1935, Mario Castelnuovo-Tedesco’s Concerto for Violoncello and Orchestra (Opus 72) had its world premiere at Carnegie Hall, where it was performed by the Philharmonic-Symphony Society of New York, conducted by Arturo Toscanini with soloist Gregor Piatagorsky, for whom the concerto was written. A work of demanding virtuosity, the concerto was never recorded and was subsequently buried for more than 80 years, until Brinton Averil Smith and the Houston Symphony brought it back to the stage in April 2017. Now, the Houston performance is one of three new major recordings of the work. On Friday, 6 July a marathon evening dedicated to Mario Castelnuovo-Tedesco will be held in his beloved Florence. Il Maggio Musicale Fiorentino and il Museo del Novecento have collaborated on a special event which begins at 18:00 in Piazza Santa Maria Novella. 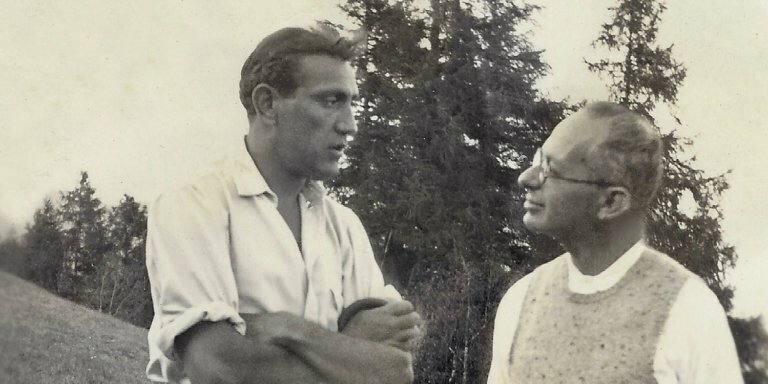 For those interested in learning more about Mario Castelnuovo-Tedesco’s early years in Florence, Professor Eleonora Negri and colleagues at the Lyceum Club Internationale Firenze have created a new online exhibition. Now available in English, the exhibition chronicles the composer’s path and the teachers who helped shape his development. Two upcoming Manhattan events will focus on the music and life of Mario Castelnuovo-Tedesco: the first will be hosted by the New York City Classical Guitar Society on 15 May, and the second will be presented by the Italian Cultural Institute and the Centro Primo Levi on 17 May. 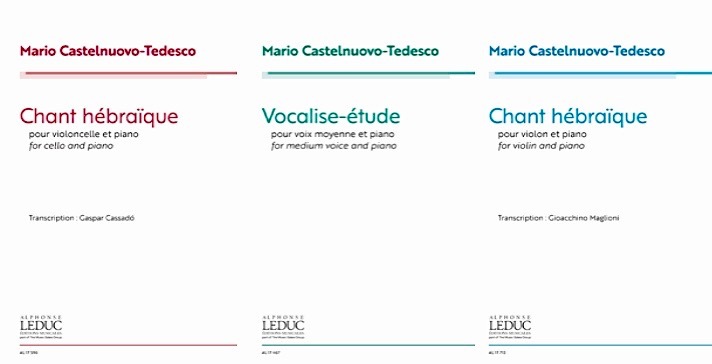 Mario Castelnuovo-Tedesco’s Vocalise-étude (1928) for medium voice and piano and two subsequent transcriptions, Chant hébraïque for cello and piano (1930) and Chant hébraïque for violin and piano (1930), are now available once again from Alphonse Leduc via designated retailers. 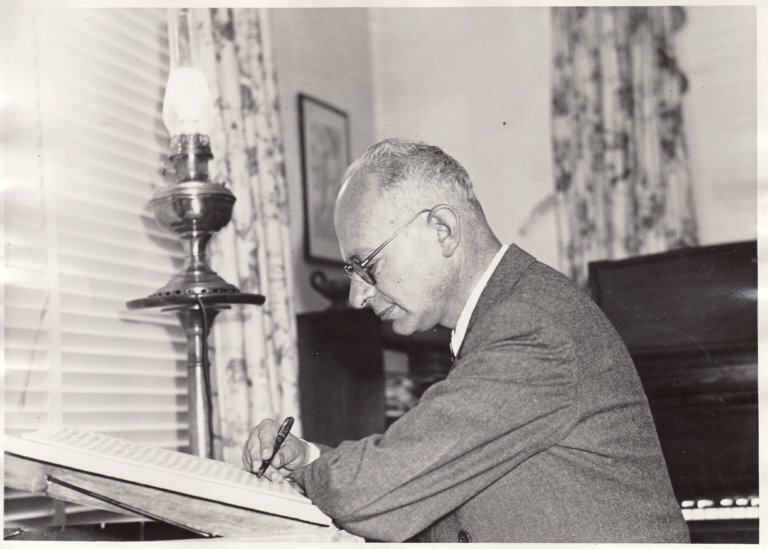 This month the Castelnuovo-Tedesco family donated two manuscripts by the Dutch composer Simon Gokkes to the Nederlands Muziek Instituut in The Hague. These manuscripts were found a few years ago in some archives Mario Castelnuovo-Tedesco had left in Italy when he emigrated to the US. 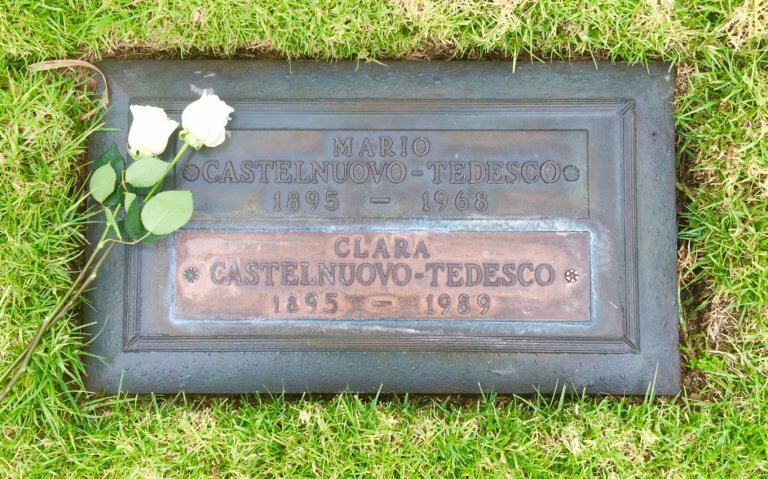 16 March 2018 is the fiftieth anniversary of Mario Castelnuovo-Tedesco’s death at age 72. Celebrations of his music have or will take place this week in the two cities with which he is most closely associated: Florence (at the Conservatory Cherubini in collaboration with the Lyceum Club International and gli Amici della Musica) and Los Angeles (one of two evenings planned at the Italian Cultural Institute), as well as other cities in Europe and in the United States.